Videogames have gotten a lot nicer in recent years, and simpler too. The industry itself is a much bigger deal than it was in the past, and disproportionately more profitable. The consequence, then, is that a large audience almost necessitates a dumbing down of sorts. Uniform design choices, detailed explanations, clear direction—all of that and more have become hallmarks of modern gaming. Not that there’s anything wrong with any of that, of course. I love my big-budget, AAA titles as much as the next guy. Yet part of me still yearns for games that don’t handhold, or over-explain, or even explain at all. 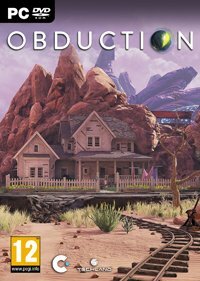 Titles that drop you in a world, don’t tell you what’s going on, simply saying, “figure it out, buddy.” One such title is Obduction. Obduction is that game I’ve waited for, in many capacities. A crowdfunded endeavor by former Myst developers, this is a title very much cut from that same cloth. Players amble around an open world, interact with people through misleading and confusing dialogue, turn knobs and pull levers until something happens. 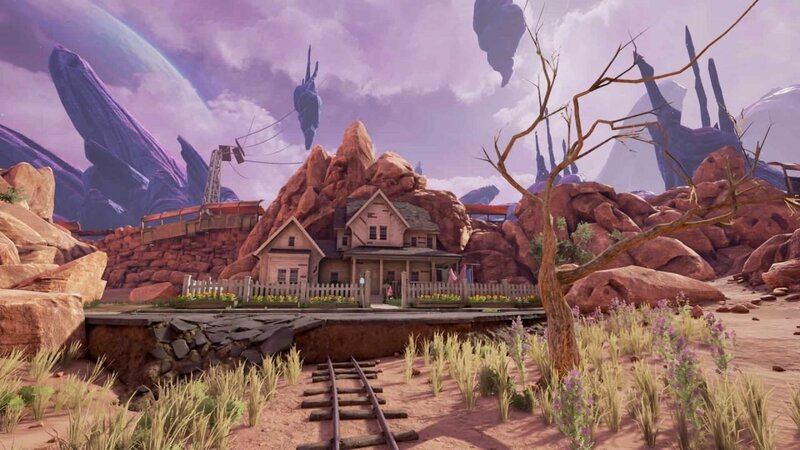 Obduction is a game that demands patience and attention to detail. And while there’s no real punishment for not having either of those things, an inability to take your time and pay attention will result in walking in circles, cursing your monitor, then uninstalling the game. Which would be unfortunate, because you’d be missing out on one of gaming’s most satisfying slow burns. Saying too much about it would be criminal, but the basic “hook” is that you’ve been abducted (obducted?) and taken to an alien planet. Most NPCs in this strange, Old West meets dystopian future are holograms, and only one living human is around. He tasks you with helping restore power to the abandoned planet, and with deactivating a barrier enclosing the small town. But deactivating this barrier, which happens relatively early on, reveals that it’s actually a giant network of portals. Portals that take you to different places on the planet, and possibly other planets as well. That is, if your brain isn’t worn to bits. 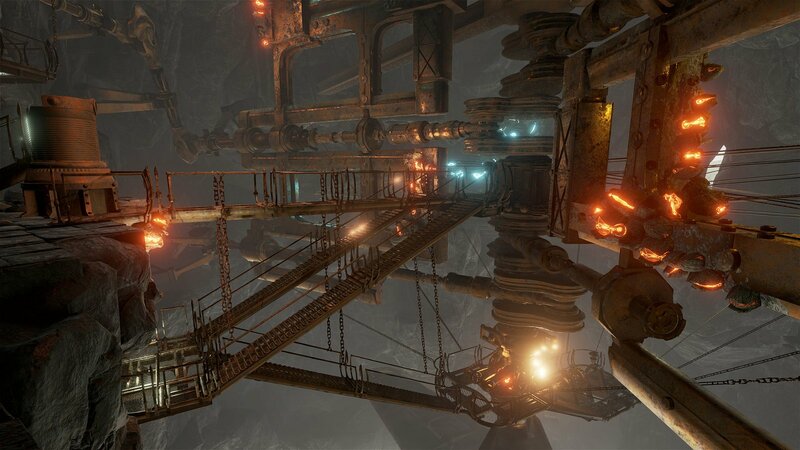 While this latest endeavour doesn’t reach Myst levels of “you’ll be stuck on this puzzle for literal years,” that doesn’t mean it’s necessarily a cakewalk either. Early puzzles revolve around simple tasks like pressing buttons and flipping switches, but a few hours in, you’ll find yourself doing more complicated things. Things like triangulating your position based on various teleportation devices, understanding the aforementioned portals, and using bits of narrative lore to make sense of your next task. Eventually, just navigating the world to reach your next objective becomes a puzzle in and of itself. For some, it might be a bit overwhelming, and bit too vague. For me, it was a rewarding and immersive experience that I wanted more of. The arresting visuals and astonishing score play a large hand in that immersion. As someone who hasn’t been impressed by most games using the Unreal Engine 4 thus far, I came away from Obduction’s worlds believing I’d truly travelled there and occupied a very real, tangible place. Cyan has produced some of the most gorgeous eye candy on the gaming marketplace right now, bar none. The texture quality is rich and detailed, the lighting effects practically photorealistic. Few games ever manage to elicit the usage of “breathtaking” from me these days, but this is definitely one of the rare instances. A stellar score that makes use of piano, strings, synthesizers, and practically the whole kitchen sink of instruments punctuates these beautiful graphics. That said, there are two very minor caveats. Firstly, every character in Obduction is rendered through usage of FMV. This was a decision that I found charming, and I actually think character models would’ve honestly taken away some of the title’s mystique. However, some people are of the disposition that FMV should’ve died with Night Trap, so it might throw some players off. Secondly, and perhaps more major, is that this game has some performance issues. The game was reviewed on an NVIDIA 1080 Founders Edition with 64 gigs of RAM that can run practically anything at max specs with no lag. 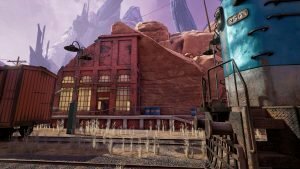 Yet Obduction had some jarring framerate drops, especially when it came to particle effects and foliage. While it’s not as dramatic as pre-patch builds sound, it’s still noticeable, and a bit disappointing when the game is this beautiful to look at. Obduction is not for everyone. It’s a game that doesn’t tell you a lot about what’s going on, with the exception of the two possible climaxes. It’s also a game that intentionally misleads you, and expects you to bang your head up against a wall until you figure out the solution (or use a walkthrough, I guess.) But for me, it wound up being one of 2016’s most rewarding experiences. From start to finish, it’s a downright joy to play, and a title I won’t soon forget. For anyone wanting a confusing yet ultimately rewarding adventure, Obduction delivers in spades.